biologically active peptides and peptide-related products that are used in major research institutions throughout the world.Peptides International also offers custom peptide synthesis services to fulfill the most demanding and exacting of specifications. We are passionate about purity and demand excellence throughout an ever-growing line of products and services. Peptides International was founded in 1983 by the late Professor Arno. F. Spatola to address the need for quality products and services in the field of peptide synthesis. Thirty years later, the company has become recognized around the world as a trusted source of high purity, quality products ranging from innovative resins to complex custom peptides. Peptides International remains a private company, with Jacqulyn Spatola as the principal owner. Throughout its history, Peptides International has also maintained a close relationship with the Peptide Institute of Osaka, Japan, a world leader in complex peptide synthesis. 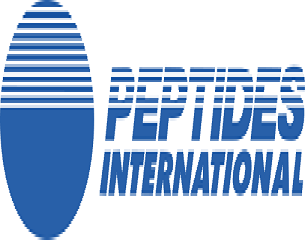 The company is proud to offer the full line of quality products from the Peptide Institute as well as a portfolio of premium specialized products from other reputable sources which are described in the product section of this site. Peptides International remains a company that never compromises research integrity and social responsibility, or forgets to treat people with respect and kindness. Since its founding by Dr. Spatola these standards have been the basis for our growth and success and continue to guide our future.